Chrome 61 was a major update when it was released on Android and the desktop last month. Not only did it enable several new APIs for developers to use, but the Android version moved the address bar to the bottom and revamped the Google Translate bar. 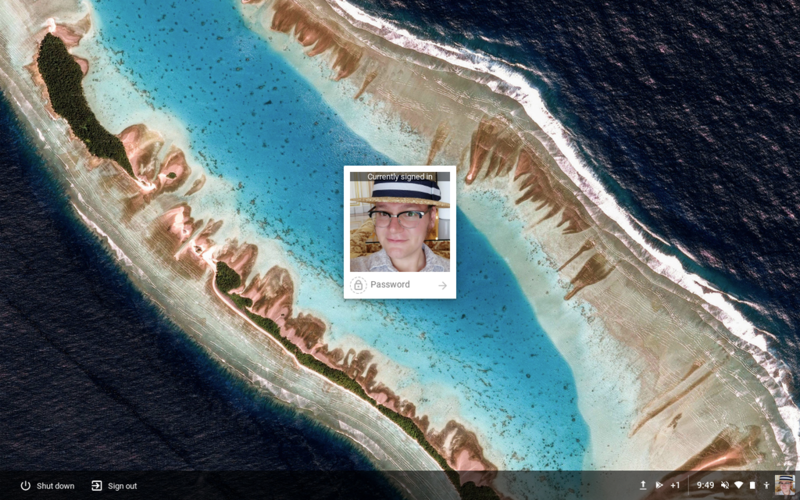 Chrome OS is also getting a few visual tweaks for v61, which has started to roll out to users. The first notable change is the new lock/login screen. 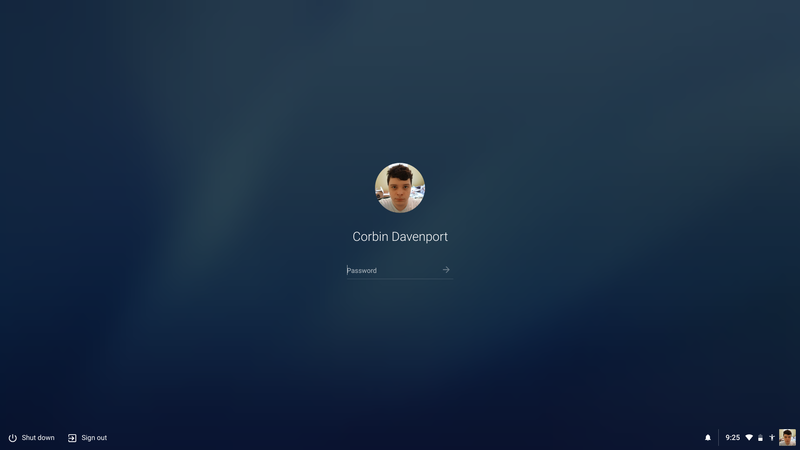 The old design had a single card in the middle of the screen, displaying the user's profile picture above the password text box. The new screen is far more reminiscent of macOS, with the entire wallpaper blurred. The profile picture is also now round. Next up is the new app launcher. This has been in testing for a while, but it's finally going live on the stable channel. If you don't have it for some reason, you can force it by setting the 'peeking launcher' flag to Enabled. 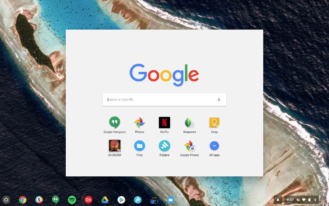 The old layout was a card in the center of the screen, with the Google doodle at the top and your recently-opened apps below. Clicking the 'All Apps' button would display all your installed applications. 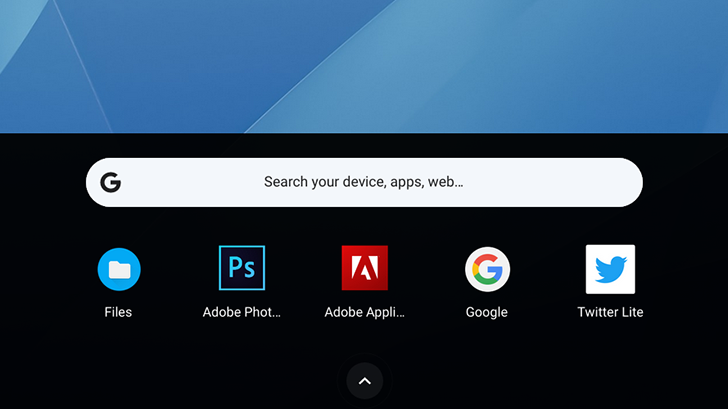 The new launcher slides up from the bottom, again showing a Google search bar and your recently-opened apps. 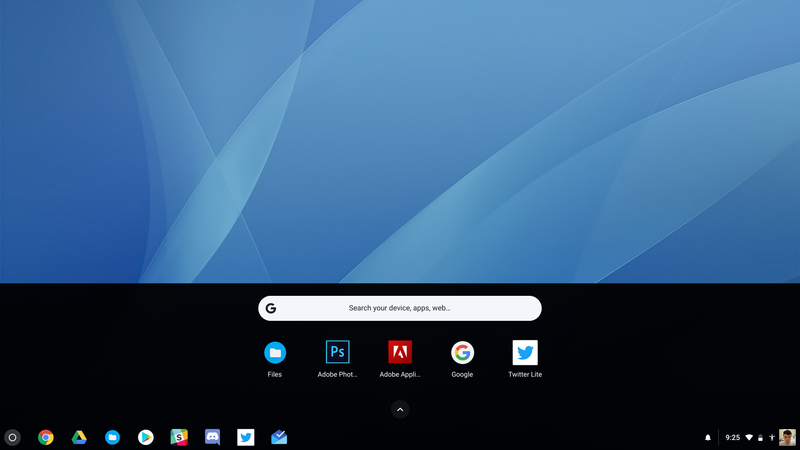 The launcher currently has a partially-transparent black background, but Chrome Unboxed notes that a blurred background (like the login screen) is in development. Tapping the up arrow, or swiping up, reveals the rest of your apps. When opening the launcher in tablet mode, it will expand automatically. There are a few other changes in this release, like a new profile picture picker, improved power management settings, and improved window management in tablet mode. 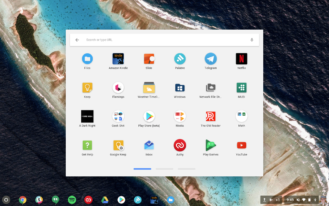 However, Chrome OS 61 seems to be limited to just a handful of Chromebooks for the moment. Chrome Unboxed mentions that at least 20 models have not yet received the update, with seemingly no explanation from Google. Hopefully the delay will be short, especially as Chrome 62 is about to hit desktops and Android.